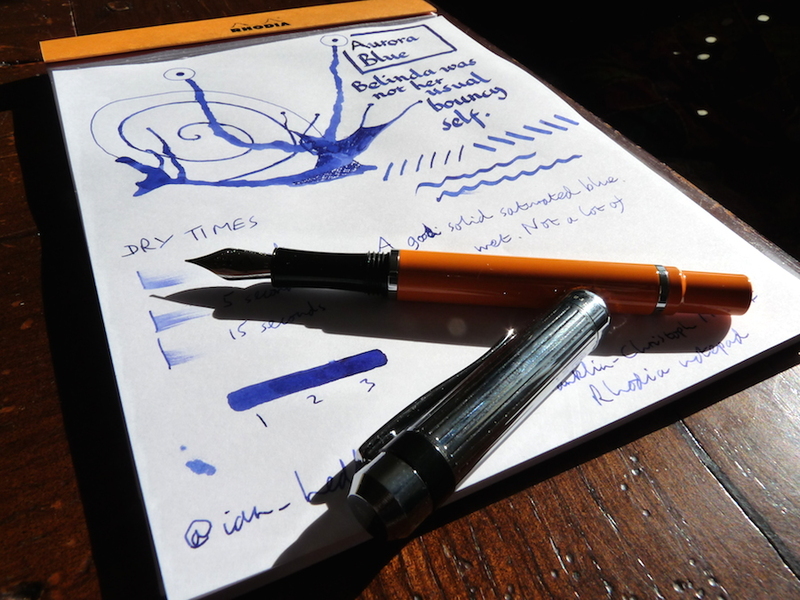 Aurora Blue ink review – Pens! Paper! Pencils! 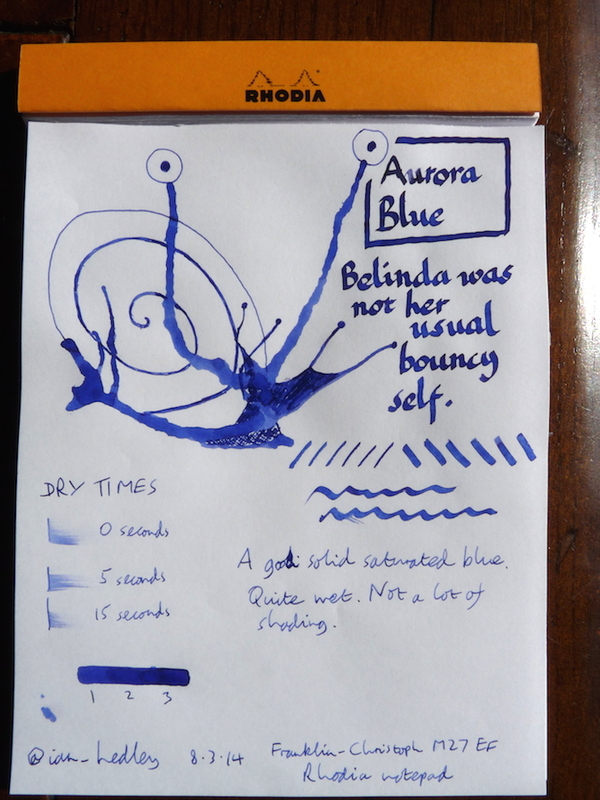 Aurora Blue is a nice fairly saturated blue ink. There’s nothing that sets it apart from most other blue inks as far as colour goes but it’s good and wet and stands out well on the page. Thank you to The Writing Desk for sending me this sample to review. You can buy Aurora Blue direct from The Writing Desk here.